Charting a career especially in the information technology domain can be a tough exercise, but just as the proverbial journey of a thousand miles begins with a step there are the first steps that anyone seeking to find their niche can take to make the path ahead clearer. A lot of people reach out to me in this area with diverse motivations and perspectives. Some want to be “like me”, others want to be “the best” or “the greatest” and others yet still don’t have a clue! In my own experience I knew I wanted to pursue a career in IT & Computing right from childhood. I was fascinated by technology from an early age. Long before I first touched or used an actual computer I had a stack of Lotus Notes and Word Perfect text books I occasionally glanced through as well as some computer hardware textbooks I used to educate myself and feed my interests. I subscribed to a popular monthly Computer and ICT newspaper back in the day and attended annual IT conferences and summits organized by AITEC Africa while in Junior & Senior High School. I had an initial interest in computer hardware and used to take computers apart and put them together to learn more about the various components and how they all fit together. In university I got a part time job in a campus Internet cafe and even started studying for the Comptia A+ exam. I disliked networking at this point in time as I ignorantly thought it was just about running cables. We were taught to assign IP addresses to customers who came to the cafe to use their personal laptops to browse the internet but didn’t have a clue about the concept of subnet masks or Classless addressing schemes. My first real encounter with networking occurred one evening when I had to repair a damaged patch cable and had to refer to Google to find out how to crimp a straight cable. With a lot of effort I managed to get the color coding right and terminate the RJ-45 jack. Upon plugging it into the customer’s laptop the info bubble popped up; “Local Area Connection is now connected, Speed:100.0 Mbps”. “How cool! !” was my reaction. Fast forward to some months after that event and I sat in an education seminar where we were introduced to Cisco Networking and the CCNA certification along with the world of opportunity it offered to those who pursued it. It piqued my interest and I decided to find out more information which eventually led me to pursue the CCNA certification and the rest is history. 1: Do some deep introspection to figure out what you are or think you would be interested in. When it comes to IT there are a hundred and one possible areas of specialization and some would definitely catch your interest. 2: Do some research. It amazes me that people would want to pursue certain careers and will not start with a search on Google to find out what it entails. Go to job sites and find out the available roles in your fields of interest and read the Job Description. Get a feel of what the roles require in terms of skill sets, education and training to help you plan your learning & development and skill acquisition. 3. Get a mentor. It’s good to have someone more experienced in your field of interest who can give you advice, answer your questions and give you a few pointers. With tools like LinkedIn, you have at your disposal a wide community of professionals in whatever your chosen field is.Reach out to them & engage their minds. Not all will respond positively but at least one or two will.Mind you, it’s advisable not to wear them out with “unnecessary” talk. Do your part by getting as much information on your own as you can and reach out to them when you have genuine issues and concerns. Any mentor will be glad to help a protege who is putting in their own effort rather than expecting to be spoonfed. 4. Get your hands dirty. With the combination of Google, YouTube & Virtualization Technology there are few technologies that you cannot learn behind a desk. Most vendors have virtualized platforms of their technology offerings. This makes it easier & cheaper to deploy for learning & testing purposes and reduces the risk of causing outages in production environments. With this and other tips, getting a kickstart to your career should no longer be a hassle but an enjoyable journey of discovery. That one line sentence at the homepage page of the CISCO OLSM brought mixed feelings as I sat at the roadside eatery in Deira clutching my phone. I had heard about how the results came in super quick when you had passed, but this score report seemed too swift in arriving. On my first attempt it had taken about 6 hrs for the FAIL verdict to arrive. Finally…The 2 year journey had come to an end. I was exhausted and tired but very relieved. I don’t remember exactly when I decided to pursue the CCIE certification but meeting a CCIE for the 1st time certainly made a deep impression on me that it was an attainable goal. It turned out that they were flesh-and-blood beings like myself and not the demi-gods I had perceived them to be. The truth is that they are not too many of them in my country and at the time of passing there were probably only 5 or 6 homegrown CCIE’s. It all begun by preparing to take the Written Exam which involved a massive amount of reading. It took me about 4 months to read cover to cover the 900+ pages of the v4 Official CCIE Written Cert Guide by Wendell Odom cover to cover (The v5 Written Guide is now in 2 volumes with a total of 1500+ pages) Although quite boring, it’s important to go through this chore the right way as it helps you build a theoretical base knowledge of the technologies in the Lab exam. A deeper knowledge and study of these topics is required when preparing for the lab exam itself. I didn’t just read the book but made sure to lab up most of the scenarios to give me a better understanding of the theory. 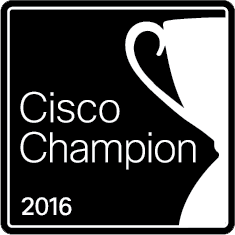 “Because of your impactful and valuable contributions to the IT community, you have been chosen out of hundreds of nominees to be part of the 2016 Cisco Champion program. Congratulations! This good news came in my inbox last week. It’s been a long wait since November when the 2016 program was announced and I applied to be considered for another year on the program. It’s been simply awesome since 2014 being a Cisco Champion and sharing knowledge and offering help to the community. I use this announcement to re-activate this blog which went dormant for some months (Blame the beast of the CCIE Lab exam ;-)) Nevertheless it’s good to be back as there is a lot to share, topmost being my experience taking and passing the CCIE Routing & Switching Lab Exam. Keep watching this space!! Are you a beginner in the world of IT certification or do you happen to be an experienced veteran? Whatever category you find yourself in the following tips will definitely give you some pointers on how best to study for and pass most IT certification exams. To begin with, of utmost importance is the need for every individual to identify what their unique style of learning is. This will mostly be a mix of reading certification guides/blogs/RFCs copupled with note-taking, watching videos, listening to audio and implementing the technology in real-life to gain the necessary hands-on experience. Personally I like to learn a new tecnology by reading about it first, then watching videos to fill in the gaps and to see a live demonstration.I then dig into the hands-on configuration to implement it on my own. After following this process,every new technology I learn is etched in my memory and becomes second nature to me. I developed this process through observation over a period of time as I studied for a number of certification exams. On a few occasions where I tried to brute-force my way to learn a new technology solely by watching videos and taking notes, the content was easily forgotten and not remembered a few days later. Other occasions when I tried going straight to implement the technology, I would end up knowing only commands or configuration steps but not understanding why I had done it the way I did. This method does become necessary in some circumstances due to pressure from a pending project and an urgent need to implement a solution quickly without the luxury of ample time to read and understand. However, for life-long learning a combination of the above methods should be sufficient. Having a study schedule is also very helpful in your preparation for an exam. Break down the topics, assign specific days and dates as well as specific time periods to tackle specific topics…and stick to the schedule! You might encounter some hiccups or disturbances due to “life happening” but make up for those missed times and do not interrupt your schedule. You can share it with friend or two who can check up on your progress. Now another important consideration is how to find or rather more accurately MAKE the time to study. Reality check. Did you ever consider that WE ALL have 24 hrs in a day? The richest man on earth, the president of the United States of America, the rocket scientist at NASA, the college professor, the student….we all have 24 hours to make our dreams and aspirations come true. It all then boils down to a matter of time management. It is helpful to ‘steal’ small chunks of 15-30 mins at a time to learn something new no matter how tiny. After all it is said that little drops of water make a might ocean.Within this chunk of time you can read 2-3 pages of a PDF on your laptop at work, or on a tablet while commuting, or watch half a training video on your smartphone. It’s becoming increasingly difficult to block 2-3 hours of time out just for study because of all the distractions in our digitally social world today. There are many distractions which cry for our attention and steal precious time from our daily shcedules. Without a disciplined approach to a strict time management schedule, many will remain at the same level of knowledge and not improve themselves in any way. Simply put, if you have passion for any endeavour, you WILL make the time for it and work towards the goal.Happy certification! This post is dedicated to everyone who ever flunked an exam, and more specifically a certification exam as that will be the main focus of this piece. You are not alone. You are not unique. You are not the first to fail, neither will you be the last!! In the year gone by I have interacted with a number of people who were unable to pass one certification exam or the other. Myself inclusive. Twice. With time I have come to believe that success is a destination arrived at by embarking on a journey, not a sprint, and failure is a temporary stop on that journey. Just like a pit stop made by an F-1 race driver to gas up or change a flat tire and afterward resume the race, so is failure. It is a signal to you indicating the need to stop, fix what is wrong and get moving once the problem is resolved. Failure doesn’t mean you are finished. Failure doesn’t mean you are doomed. Failure doesn’t mean you are useless. It’s tough to see an “F” grade or a FAIL exam score, but F doesn’t stand for Failure. F stands for Fight, it stands for Focus, it stands for Fortitude and it stands for Forge on! It’s painful putting in those hours and investing your time and energy to study for a certification exam only to realize you didn’t pass. That was my experience when I was met with my own exam failures some months back. I booked the exam on a working day. That day turned out to be the most hectic that particular week. From equipment failure in remote locations to WAN link issue and application performance issues. The phone was ringing off the hook. Text messages and emails were flying in the dozens. Exam time was booked for 3PM. I literally had to make a fast break at 2:30PM to the testing center, speeding and maneuvering my way through traffic which thankfully wasn’t too bad that day. Till the moment I was asked to put my personal belongings away I was taking calls. I remembered I had to make a final urgent call after sitting at the test station but the proctor wouldn’t allow me.I begun the exam just wanting to finish so I could get back to the office.In my mind, it seemed as if my cell phone kept vibrating in the locker all through the exam. I sped through the exam clicking through to the final question and did a hurried revision of my answers. Now to end the exam.Fingers crossed. Click…FAIL!!! By 8 points. Bummer.Long story short I had a chance to retake the exam for free due to a bug in one of the simulations that I detected and reported to the exam vendor. I rescheduled for a weekend and with a clear and relaxed mind took my time to resit the exam and came out with near perfect scores. I had failed initially, but I had used the period up to the retake to focus and assess the reasons for my inability to pass the first time and remedied them. The second exam I failed I was kinda glad it went that way as I knew I wasn’t fully prepared.I was complacent. Blame it on the free exam vouchers. It was more of a first-time attempt to “audit” the exam. Surprisingly the areas I thought I was strongest in terms of mastery of the content gave me the worst marks. Reality check. I needed to sit up if I was going to pass this exam. And sit up I did. That’s what failure should do to you. It’s a pit stop for you to analyze what went wrong and find out the best ways to right those wrongs and re-strategize toward victory. Failure is not meant for you to throw up your arms in despair and wail in self-pity further inflicting pain on your already bruised confidence. Like I told one gentleman who failed his initial attempt at the CCNA, the only way he was going to become a CCNA was to re-attempt the exam and pass it. Same goes for everyone that has ever failed an exam. You don’t become successful by wailing in despair over the money invested in learning materials or moaning over the hours spent in studying and attending classes. Take that score report which is oh-so painful to view. The scores don’t lie. Observe your weak areas. Read the content again. Watch some videos. Lab it up. Attempt some sample questions. To be double-sure you have mastered it well enough…Offer to teach or explain it to someone else!! It’s amazing when you think you know a topic well enough but find yourself fumbling when teaching someone else. That’s a sure sign of a lack of mastery of the subject. You need to be honest with yourself and do an objective analysis of your failure. 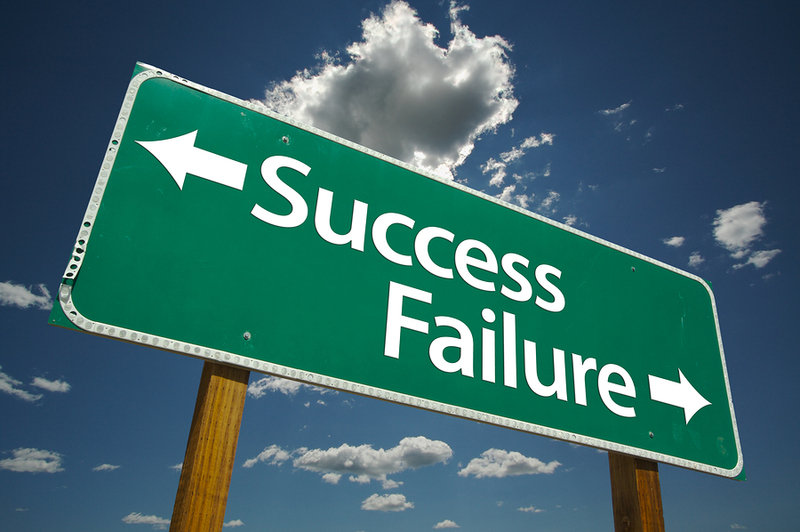 Coming up with the honest reasons for your failure sets you on a trajectory for success. Lastly, reschedule that exam and give it your best shot. Probably,like in my scenario, you might need to look at a time which is more relaxing so you can think straight, understand the question syntax and choose the best answers. With this strategy, every exam you take is gonna be a bulls-eye hit. All the best in your studies and keep the FOCUS!! Isaac "Linux" Kweku… on Cisco Champion 2016! !